For use with a 5 volt power supply (transformer included). The original King Edison as visited by his cousin Midas... Gold enhance the majestic look of this design hybrid. Stately solo, or punchy in groups. 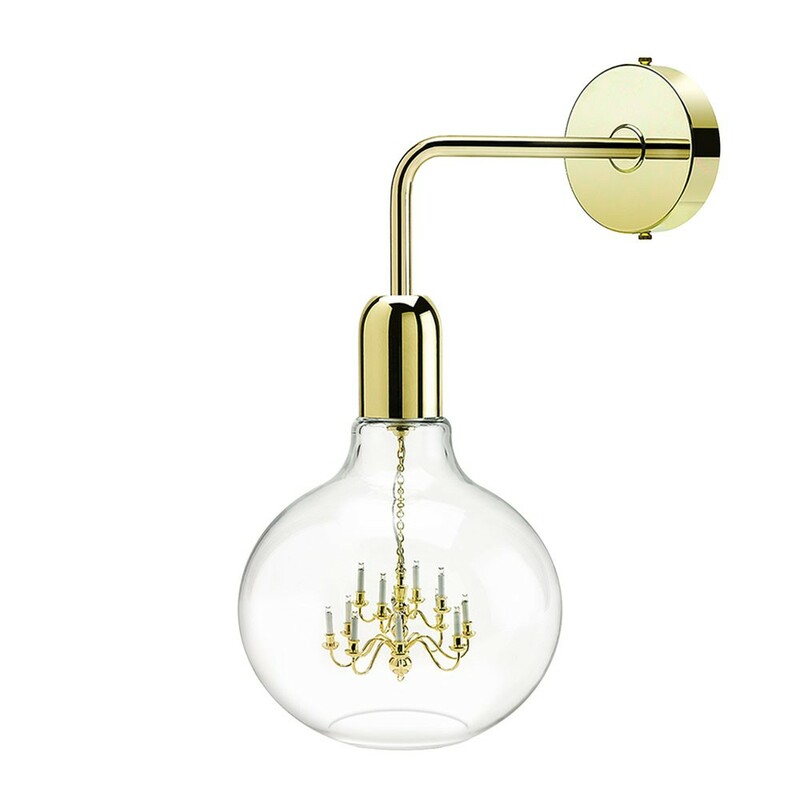 The 'King Edison' Wall lamp designed by Young & Battaglia, combines the pure simplicity of an Edison light bulb with the romance and glamour.